It’s been just over 5 months since I’ve embarked on my vegetarian quest. While this may not be particularly impressive to many, it is my personal record regarding non-meat eating and this record gets longer with each passing day. Frustration, not cravings, remind me of my new diet plan when everything appetizing on a dinner menu contains beef pieces or chicken broth. And I find this thought interesting. If a vegetarian eats meat, does he or she have to start from scratch? Do “true” vegetarians frown upon those who sneak the occasional spare rib or chicken wing? 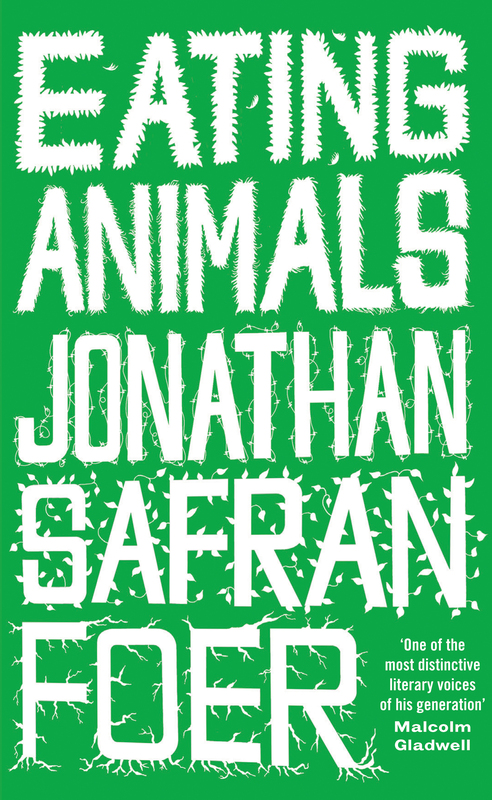 Jonathan Safran Foer’s book Eating Animals attempts to wrestle with these issues on a larger scale. The book idea originated with the author’s desire to know what meat really was, a question not dissimilar from my own. Foer does not lecture or preach the benefits of vegetarianism, mostly because he is still unsure of exactly what it means to be part of the meat producing/selling/buying/cooking/eating industry. Maybe eating or not eating meat is not so black and white. Foer himself cycled through periods of vegetarianism throughout his life, trying to find the meaning to life’s simple dinner plate. One of my geology professors, while munching on an egg salad sandwich, openly admitted that he was entering into yet another period of meat-free eating. His vegetarian lifestyle ebbs and flows as a ocean tide as opposed to a concrete and unyielding definite. The woman who interviewed me for the Bucknell magazine had been a vegetarian for six years as a young adult when on September 11th, 2001 she ate a large cheeseburger as a statement of patriotism. “I must have drank a gallon of peppermint tea afterward, I was so afraid I would be sick,” she commented. And while she does eat meat, this woman continues to be a very conscious consumer of healthy options, lamenting the lack of vegetarian options at restaurants in central Pennsylvania. Some of my vegetarian friends are truly pescatarian or those who eat fish or any other living thing that lives in the sea. No tuna or mackerel I’ve talked to relishes in the idea that they are not included in the “meat” category. I myself eat tuna fish sandwiches now and then, wondering if I’m breaking some kind of unwritten vegetarian code. It’s much easier to pass judgement on those who devour meat constantly if you yourself are a 100% vegetarian 100% of the time. But should judgement be a factor in our decision to abstain from animal flesh entirely? I’m only left with questions. I think we should embrace those who eat differently than we do. I have never tried to force my Muslim friend to chow down on a hunk of bacon and don’t frown upon my roommate for refusing dairy products due unfortunate bowel reactions. There is nothing wrong with my neighbor’s younger brother eating potato bread due to an extreme gluten allergy. And so there is also nothing wrong with a person who abstains from or indulges in meat consumption as long as he or she is making a conscious decision to eat in that way. Humanity is defined in terms outside of right and wrong and so, it seems, are our food choices.